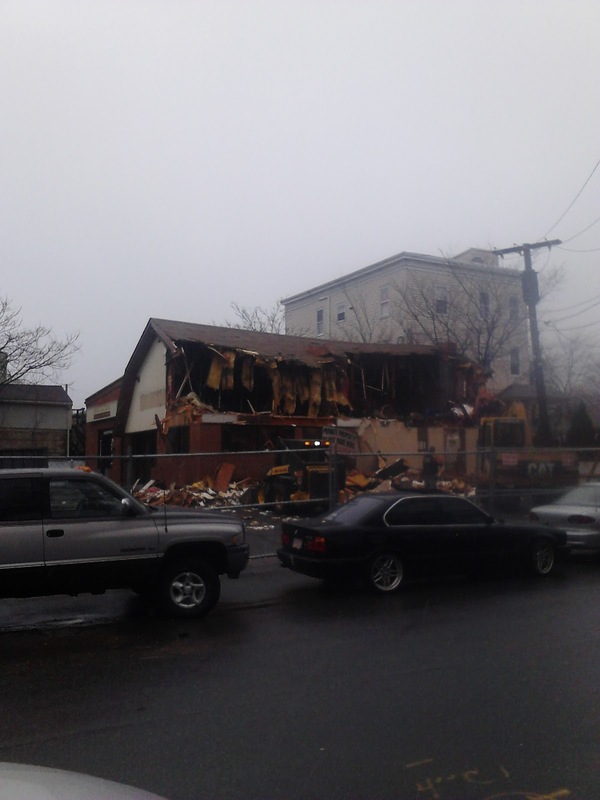 Big thanks to Paul who submitted this picture of the Royal White on Cedar Street being torn down to make way for condos. A community meeting was held in December of 2011 and the ZBA decision was made in May. Royal White is still operating out of their Warwick Street location. SHOCKING. Condos. Let me guess ... high-end luxury condos. Just like MaxPak, just like the building across the street from Royal White. Courtney, how many units are going in? Did they get a variance on parking like the new building across Cedar Street did? Apparently the land is zoned residential, so that is what had to happen. I'm sad to lose the potential for retail that is walkable to me but not sad that someone want to invest in my neighborhood. There are 6 units going in and, if I'm reading the ZBA decision correctly, they received a variance to offer 4 parking spots and not the required 6. If I'm not reading it correctly, someone please let me know. This is zoned for residential and the only other alternative was to purchase the site and use it as the same service as previously offered-laundering and tailoring. Developer opted for the residentail allowance with one designated as affordable. James1, I hope that helped.